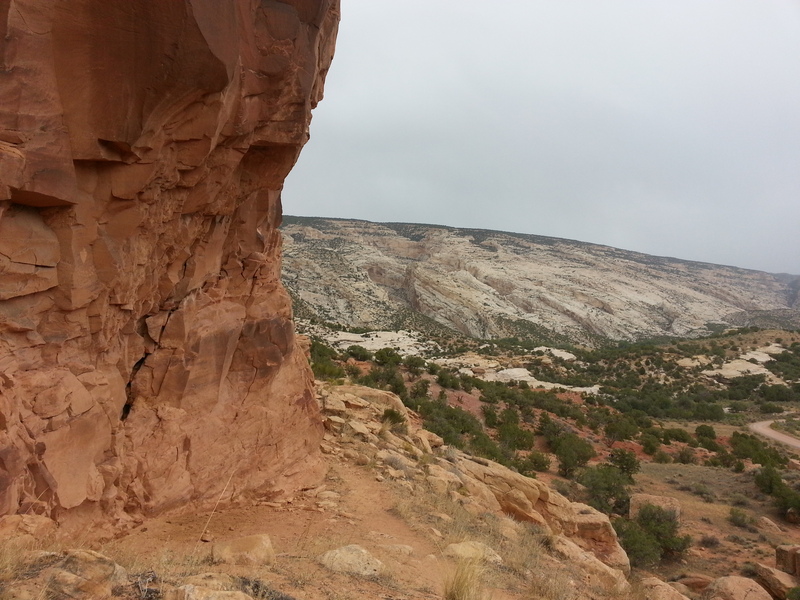 Given that we are only a few hours drive away from the town and national monument, Dinosaur, and I wanted to indulge my inner geologist/palaeontologist, we thought we’d pay it a visit. The weather predicted storms over SLC so we headed East where it stayed dry and sunny. The drive over was spectacular, driving over and around various mountain ranges, we kept our eye out for ski resorts, through Indian reserves, rural landscape and red dusty rocks. 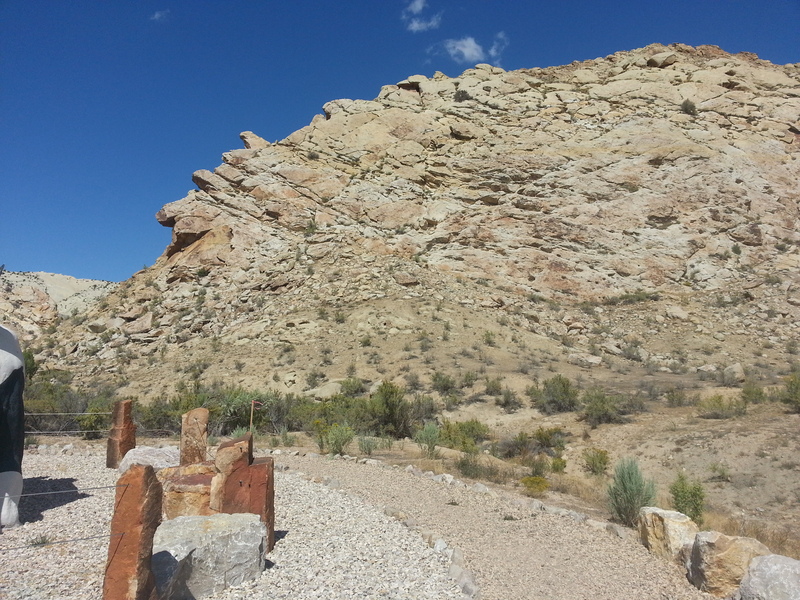 Dinosaur is a national monument, different from a state park that is on the Utah/ Colorado border, which unsurprisingly is named because it is a massive dinosaur graveyard/quarry. 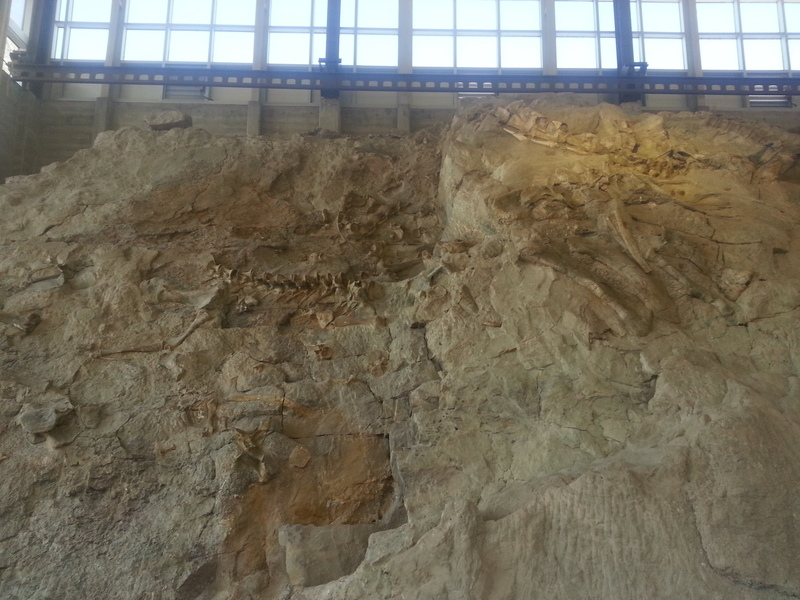 Here sits thousands of dinosaur bones, and is where many complete skeletons have been found that are in several of today’s museums around the world. We found one of the visitor centres, and excitedly found everyone outside gathered aorund a snake! I have no idea what kind but it wasn’t a rattle snake and was about two meters long. This was a good start! 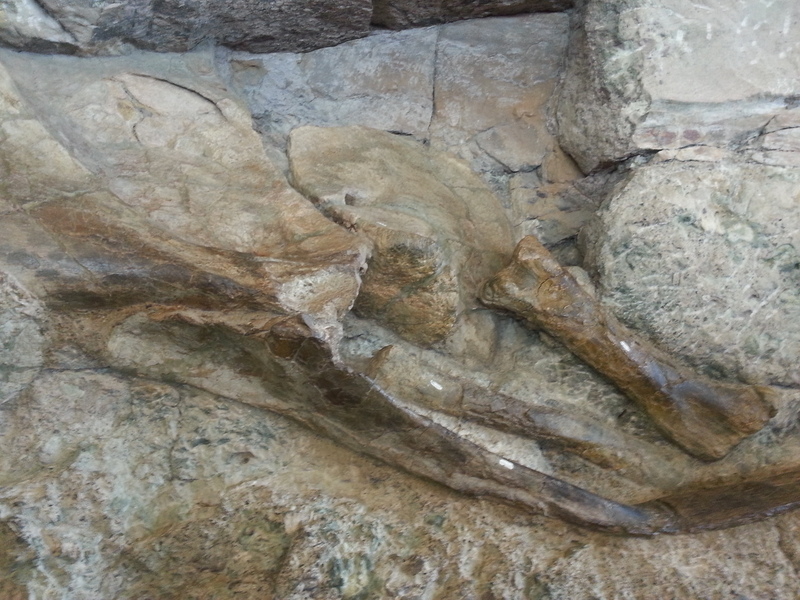 In order to reach the dinosaur ‘wall’ literally a massive wall of bones, which to be more accurate is a large hillside, which has been excavated. 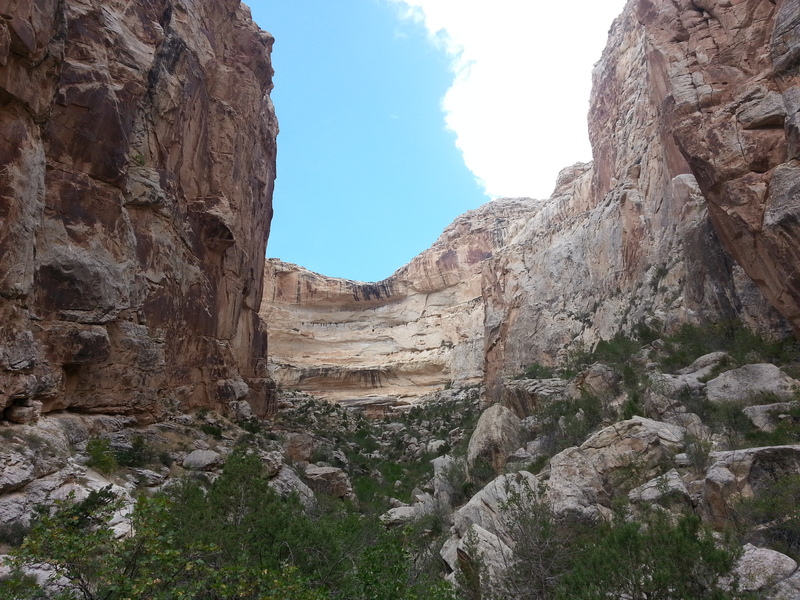 To get here you can walk up a small route, finding fossils along the way or jump on a little bus that takes you up to the wall. The wall was actually bigger than I expected, and bones everywhere. This is largely due to the type of rocks and was fairly impressive. 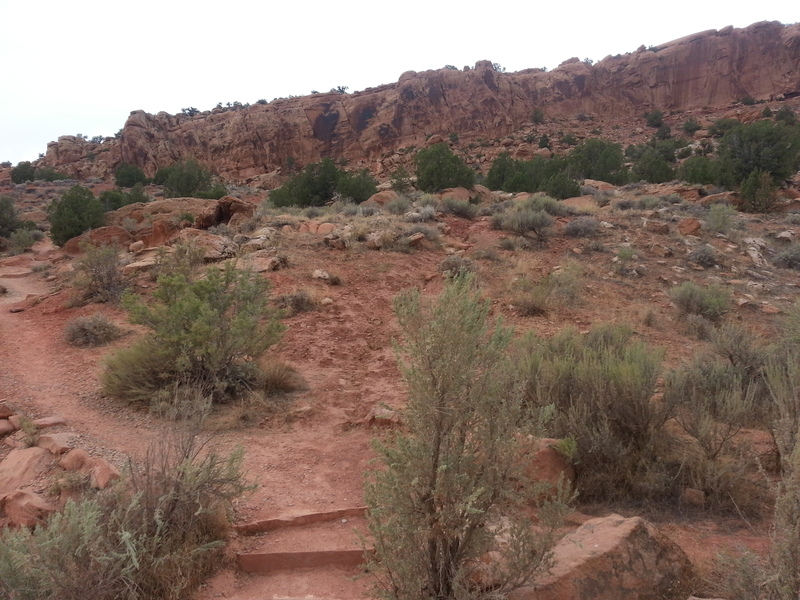 We had a walk aorund the park, enjoy the landscape, small abandoned homesteads, fossils, and small canyons. 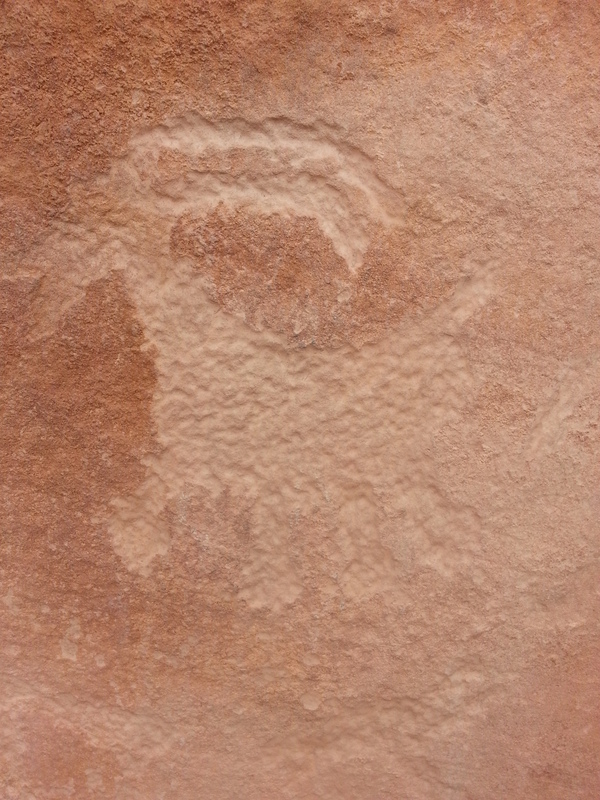 We were also excited to find some petroglyph’s dotted aorund the park. 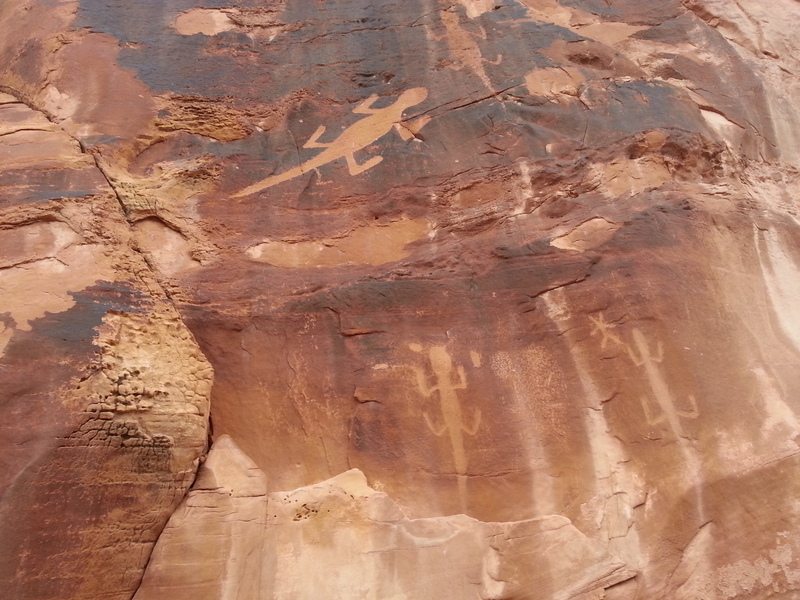 These are carved into the rock in various shapes and sizes. Some of the drawings are quite clear where as some are more abstract. 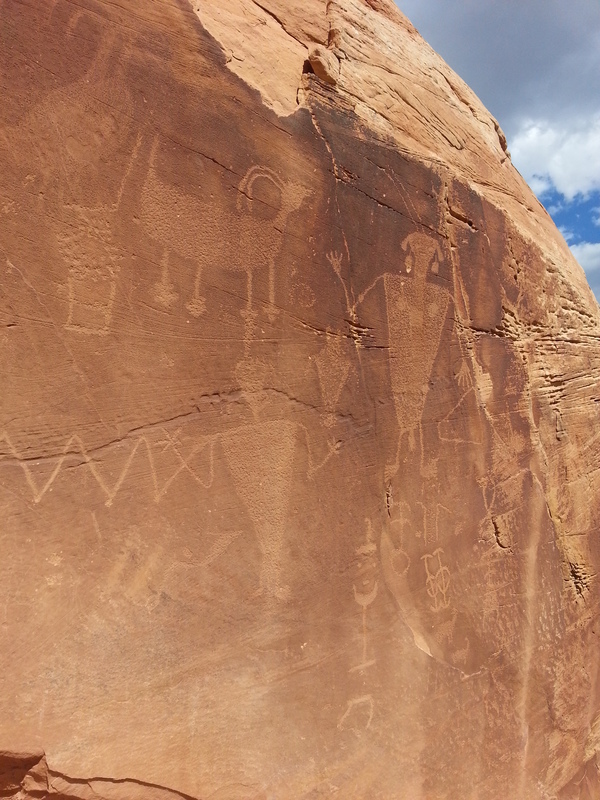 These carvings are around a thousand years old, and nobody really knows what they mean. They could be the equivalent to modern day graffiti, a family history, warnings to other tribes, directions or just doodles. Whatever they were made for the look impressive and it was fascinating to see something with so much history. Very cool Utah, very cool!